The kitchen is often called the heart of the home. It’s usually the family meeting place, and possibly the room with the most personality in your house. 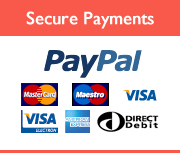 However, updating the kitchen can be an expensive endeavour. If your kitchen is looking a little worn out, fear not. We’ve found some of the best kitchen hacks to update and refresh your interior without breaking the bank. 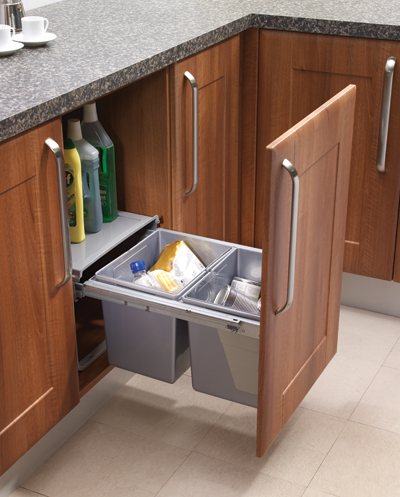 You’ll find some brilliant solutions to organise and modernise your kitchen too. 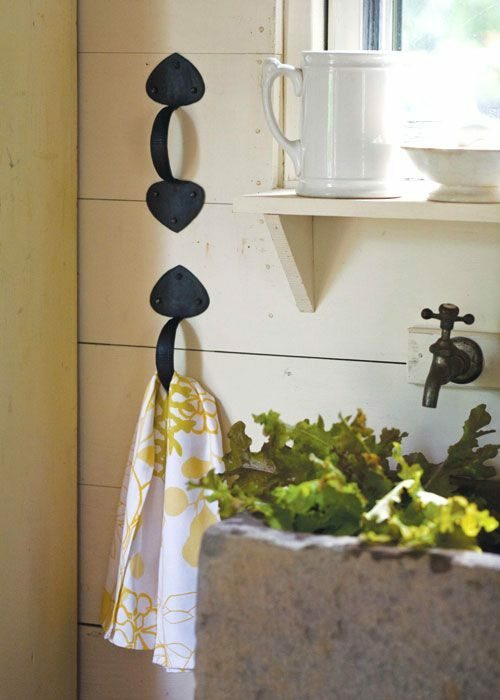 Use cupboard handles as a creative way to hang your tea towels that will really add character to your kitchen. Rustic handles look great in traditionally styled kitchens. 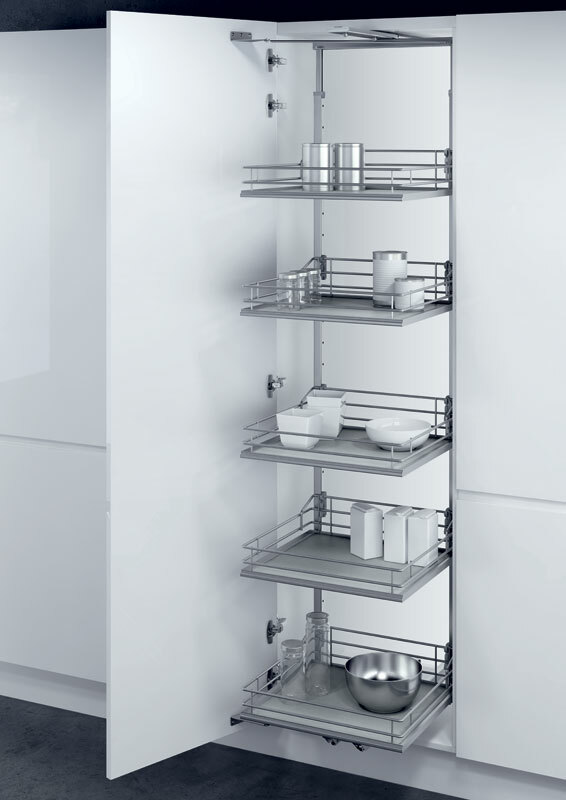 Alternatively you can fit the handles horizontally to hang kitchen utensils within easy reach. Not only do spotlights and down-lights mean that you can see what you’re doing when you’re preparing food, they also make a great feature in your kitchen, and some can even be adjusted to illuminate any statement pieces in your kitchen for a great overall look. Although it’s a vital necessity in the home, the ironing board is an eyesore. Nobody likes to be reminded about ironing while preparing dinner or enjoying a meal. 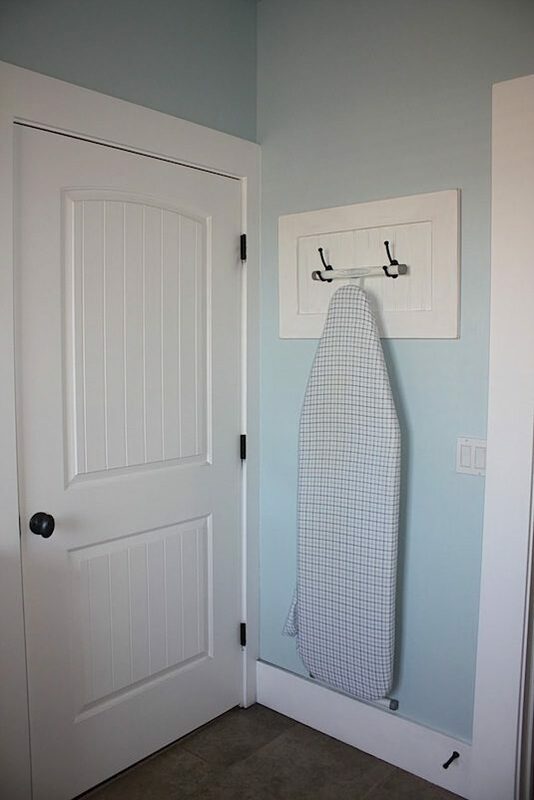 Use coat hangers or door knobs as an ingenious storage solution for your ironing board. 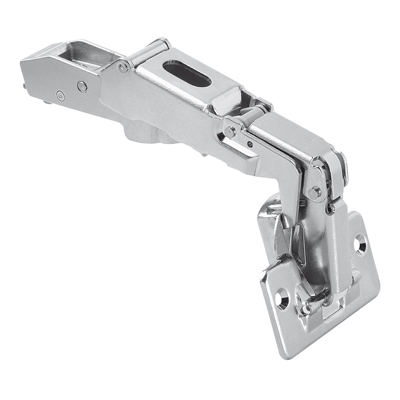 Conceal it behind a door, or even hang it on the inside of a pantry door so it’s out of sight at all times. 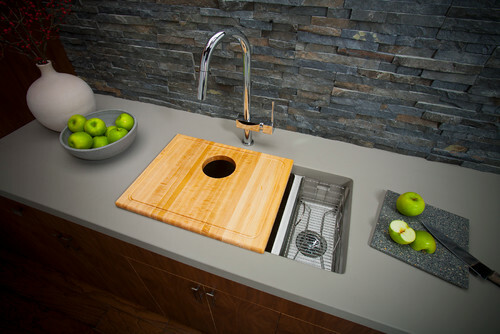 A great space saver for smaller kitchens, you’ll wonder how you ever lived without an integrated chopping board that fits over your sink. It has a multitude of uses aside from creating an extra preparation surface, including hiding dirty dishes from surprise visitors. We won’t tell if you don’t. 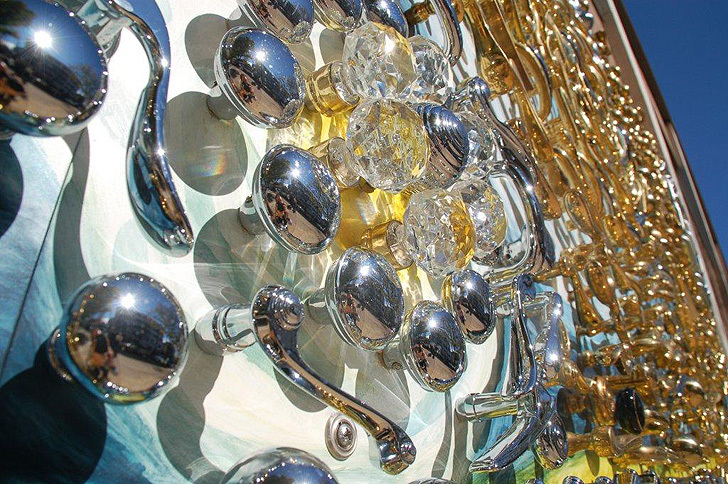 Take inspiration from David Goldberg, who used recycled door knobs to create a replica of Van Gogh’s “Starry Night” masterpiece. We’re not suggesting you transform your entire kitchen into a glittering art piece, but a couple of artistically placed door knobs on an otherwise uninteresting cupboard door will really add a unique edge to your interior, and make a great talking point. 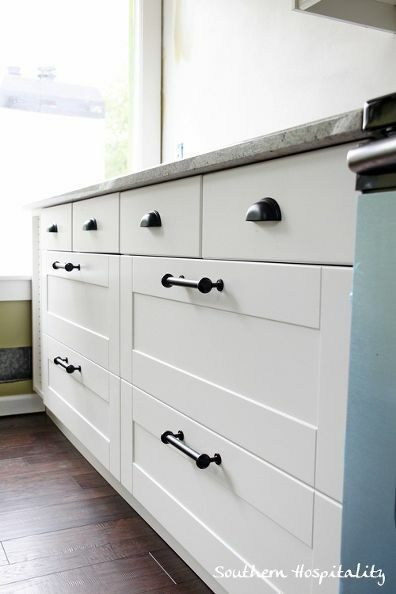 Use mismatching vintage door handles, or sleek modern ones for a contemporary look. 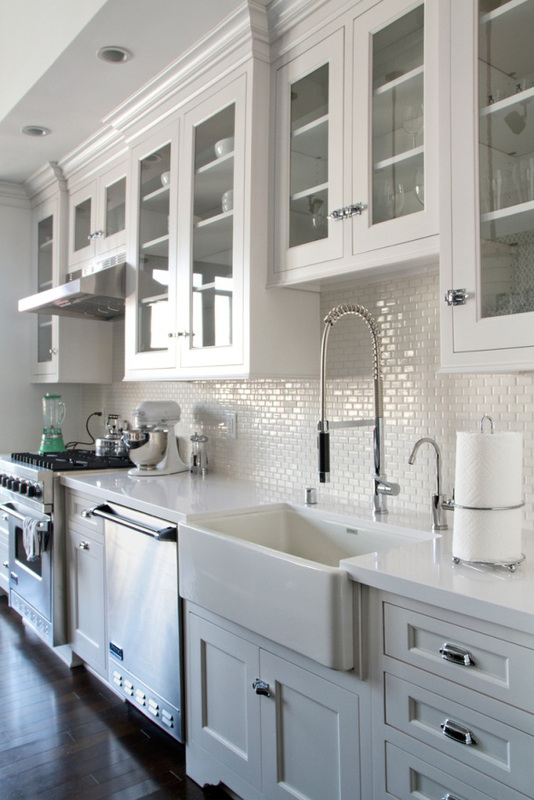 Update your kitchen taps to the 21st Century with a single lever tap. These sleek, hi-tech taps make washing, rinsing and cleaning a breeze. The faucet extends and contracts easily, and lets you control the water pressure by hand. It looks beautiful too. If your kitchen space is looking a little tired, there’s no need to splash out on a full refurbish. You’ll be amazed how a lick of paint and some well-chosen drawer handles can transform the entire room. Try contrasting light and dark colours, or add texture with pewter handles to bring your kitchen up to date. 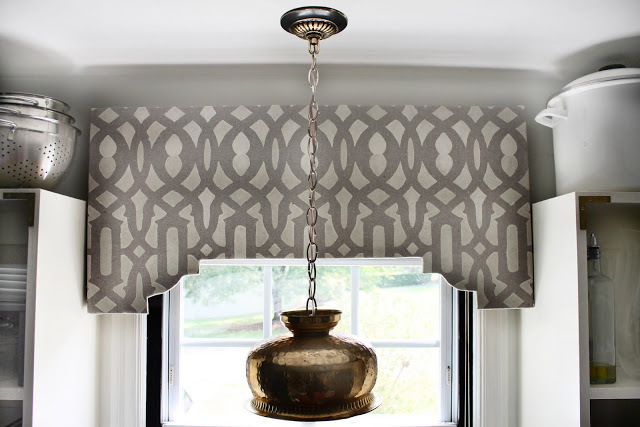 If you’ve got cornice lighting in your kitchen, why not get your DIY on to make a cornice board? It’ll create a gorgeous warming light effect, and you can be as creative as you feel to make a great feature. 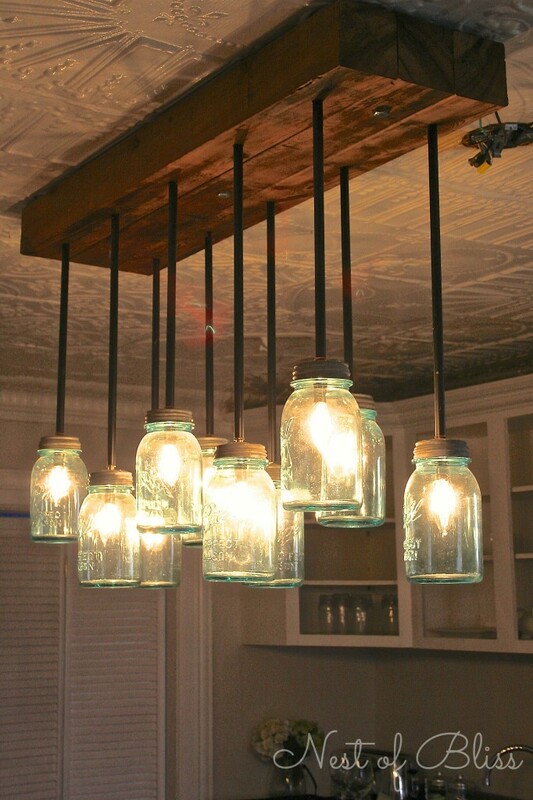 Reuse your old jam jars and mason jars to create a beautiful light feature in your kitchen. 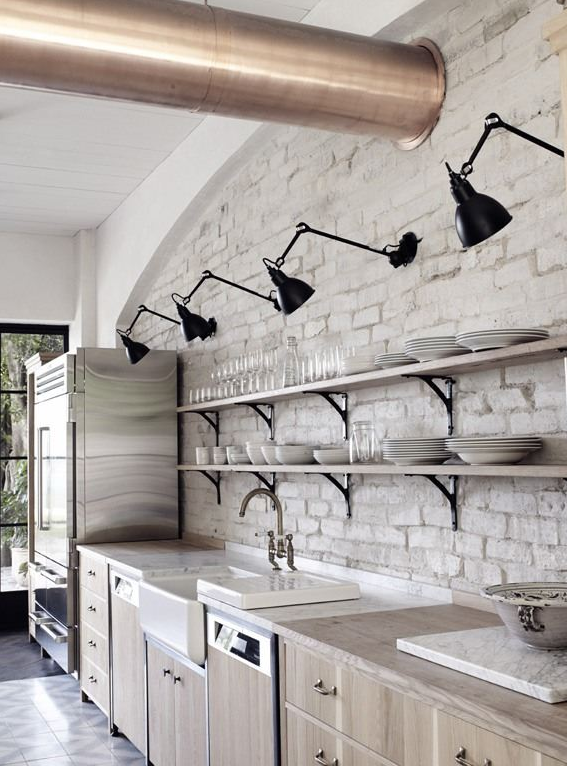 A great look for rustic kitchen interiors, you could even use coloured glass bottles for an interesting lighting effect. Often it’s the little details that really bring the interior of a room together. 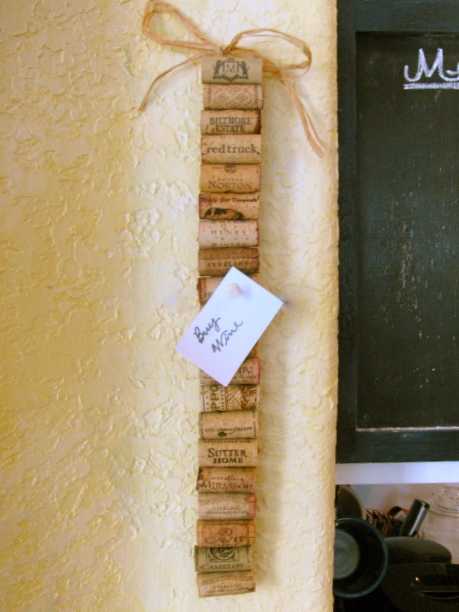 Make your own DIY cork board for a rustic finishing touch in your kitchen. This hanging cork board is great for invites, reminders and memos. It’s also a great excuse to drink more wine.